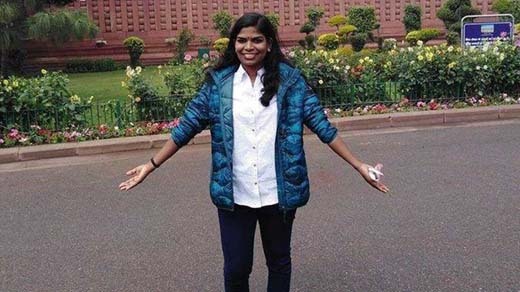 Thiruvananthapuram, Apr 06, 2019 : Congress President Rahul Gandhi on Saturday congratulated Sreedhanya Suresh from Wayanad, the first tribal woman from Kerala to be selected for civil services, Zeenews reported. In a tweet, Gandhi said, "Sreedhanya’s hard work & dedication have helped make her dream come true. I congratulate Sreedhanya and her family and wish her great success in her chosen career." Gandhi is contesting from the Wayanad constituency in Kerala along with his traditional stronghold of Amethi in the upcoming Lok Sabha polls. Twenty two-year-old Sreedhanya bagged the 410th rank in the Civil Services Examination, 2018, the results of which were announced on Friday. Kerala Chief Minister Pinarayi Vijayan also spoke to her on the phone and congratulated her. In a Facebook post, Vijayan said, "Sreedhanya fought social backwardness and passed the civil services exam with flying colours. Her achievement will inspire other students in the future." Twenty-nine Keralites have cleared the civil services examination.